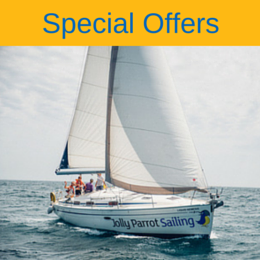 Our RYA Day Skipper Combined FastTrack course is one of our most popular and for good reason. Once you have completed the RYA Competent Crew course it is an excellent, cost effective, way to gain both the RYA Day Skipper theory and Day Skipper Practical tidal certificate with just one full week off work. It is also recognized as evidence of competence when applying for an International Certificate of Competence (ICC). Completing the practical course straight after the theory course gives excellent continuity and enables you to share the whole Day Skipper journey with others of a like mind. You’ll begin the course by spending four days in our Gibraltar classroom with a highly experienced instructor. You’ll cover the basics of navigation – including tidal calculations, chart reading and navigation, collision regulations, meteorology and the use of electronic navigational aids and AIS. At the end of the course you’ll be well prepared to take the RYA Day Skipper theory tests. After completing the theory element, you’ll join our training yacht to put it all into practice over the next five days. Under the guidance of an experienced RYA instructor you’ll take on all aspects of skippering a yacht – including sail trim, stern-to and alongside mooring, pilotage, passage planning, anchoring and safety management on board. As part of the course you’ll have the chance to develop your leadership skills by taking charge of a short passage. But don't worry! Our instructor will remain on hand to give advice and encouragement and ensure your safety. 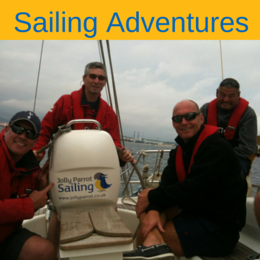 RYA Competent Crew or equivalent knowledge. Upon successful completion of our FastTrack course you'll be awarded the RYA Day Skipper Theory and RYA Day Skipper Practical (tidal) certificates. The Day Skipper practical certificate also enables you to apply for an International Certificate of Competence (ICC). Being a qualified Day Skipper will allow you to charter yachts all around the world and RYA Day Skipper sail within the charter company's specified range from a safe haven. Although this is enough for many people, the next step is the RYA Coastal Skipper Practical course or to progress extra swiftly the RYA Coastal Skipper combined course. The RYA Coastal Skipper qualification will allow you to undertake more challenging and longer passages by day and night, handle the yacht in more demanding conditions and progress along your journey to RYA Yachtmaster.